At Seaira Global, we provide cutting edge crawl space dehumidifiers that help you achieve a healthier, more comfortable living environment. If excess humidity is wreaking havoc on your home, the Seaira Global team is here to help with our line of crawl space dehumidifiers. With over 50 years of combined experience in the indoor air quality business, we have the expertise and knowledge to create the most effective dehumidifiers for your living space. Once any necessary adjustments are made, the crawl space dehumidifier moves into the production phase. After production is finished, it’s time for the final stages of testing. Every dehumidifier from Seaira must pass an extensive two day testing process by our specially trained technicians. Only after completion of testing, does the product move into the inventory phase. When the humidity level gets too high, it leads to increased moisture and dampness throughout your home. If left unattended, this creates the perfect environment for rapid mold growth. While mold may be a natural part of the outside environment, it is not something you want infesting your home or crawl space. 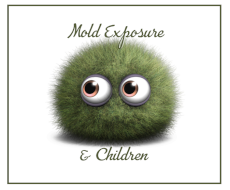 Mold consists of microscopic spores that spread by floating through the air in search of organic materials to feed on. These materials, such as dirt or dust, are most commonly found in dark, damp, and humid spaces, like your crawl space. As the mold spores feed, they continue to grow and spread. The best way to limit the rapid growth of mold is to control the humidity in your living space. By installing a crawl space dehumidifier in your crawl space, you can reduce the overall humidity of your home. This in turn will create a well maintained environment and discourage mold growth. One problem with not controlling the humidity in your home is that the excess humidity creates a damp environment thats perfect for pests. 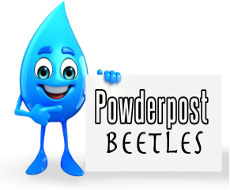 Bugs need moisture to survive so they’re always looking for sources of water. If your crawl space has a couple of puddles or a few leaking pipes, it’s going to be attractive to all sorts of pests from mosquitoes to centipedes. Once pests have invaded your home, it can lead to countless problems. For instance, the termites exploring your home are going to start eating any wood they can find, such as floor boards or ceiling joists. You could have a similar problem if wood boring beetles start making themselves at home. As their name suggests, wood boring beetles make tunnels in wood. If ignored, this type of destruction can lead to severe structural damage in your home as the floors, walls, and foundations are compromised. Obviously, pests can become quite the nuisance in your home so the question is how to get rid of them? There are a few things you need to do to prevent excess moisture and therefore, discourage pests from making themselves at home. One of the most important factors for a pest free home is to maintain a controlled humidity level. A crawl space dehumidifier can easily accomplish this task for you. Prior to the installation of your crawl space dehumidifier, there are a couple of other steps you should take. First, make sure to take care of any lingering issues in the crawl space, such as leaking pipes or standing water. In addition, your dehumidifier can only be effective if installed in a completely sealed crawl space. Not only does this help your dehumidifier, but it also limits the number of entry points for bugs. Another helpful way to get your crawl space ready for a dehumidifier is to encapsulate the space. The encapsulation process involves covering the ground of the crawl space in a polyurethane, plastic coating. This serves to keep out pests and moisture from the ground and makes your crawl space dehumidifier even more efficient. One of the most obvious reasons for buying a crawl space dehumidifier is to improve the air quality of your home. Without a dehumidifier to maintain the environment, you may be forced to deal with high humidity and all of its issues. When your home is too humid, it often feels clammy and stuffy, which can create an uncomfortable living situation. In addition, the poor air quality can aggravate medical issues, like asthma or allergies. Furthermore, if the humidity persists and leads to mold or mildew, this creates severe health problems for the occupants. If you’re not quite sure if your home is experiencing high humidity, look for signs such as condensation in windows, peeling paint, or warped floors. Too much humidity also makes it difficult for your HVAC to maintain its desired temperature so if you start to notice higher utility bills, excess humidity could be the problem. One of the best ways to prevent these issues is to control your crawl space environment. Believe it or not, the air quality of your crawl space affects your entire home thanks to the stack effect. The stack effect is an air movement principle that explains the movement of air in and out of buildings. It states that warm air will be drawn into the crawl space and rise upwards. As the warm air rises, the moist, humid air lingering in your crawl space will be pulled with it and spread throughout the home. The good news is that by installing a crawl space dehumidifier, you can take care of that humid air and prevent the stack effect. Not only can high humidity be harmful to people but, it also has a negative effect on the condition of your home. 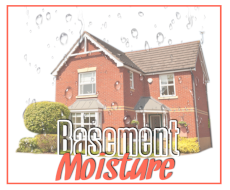 Excessive moisture from humidity can create a multitude of problems for the structure of your home. These problems often start out small such as condensation buildup in windows or doors that don’t align properly. Gradually, these problems will worsen and may turn into structural problems like wood rot, sagging floors, or subfloor damage. All of these issues start with excess humidity so in order to prevent them, it’s essential to maintain the proper moisture level in your home. The best thing to do is install a crawl space dehumidifier. With the help of its built in humidistat, the dehumidifier will be able to easily maintain your desired humidity level. The WatchDog NXT60 is the smallest dehumidifier in the NXT series, yet it is still capable of maintaining most crawl spaces with a coverage area of 11,000 cubic feet. The ENERGY STAR® rated NXT60 can produce 60 pints per day at 2.6 L/kWh. Even more impressive, the NXT60 is only 12 inches tall, making it easy to fit in the smallest of spaces. The WatchDog NXT85 is the same compact size as the NXT60 but it produces a powerful 85 pints per day. This is perfect for extra large crawl spaces as it can maintain up to 15,000 cubic feet. The efficient dehumidifier only uses 4.8 amps and produces 56 dBa. The NXT85 features a gravity drain system and comes standard with a MERV-8 filter. Other features of the NXT85 include a digital display for quick set up and side panels for easy access. Plus, the unit comes standard with upgrades like auto restart, and electronic defrost. The NXT85 can also be customized to your needs with options such as environmental monitor, duct collar kits, and remote control. The WatchDog NXT85c is identical to the NXT85 except for one feature. The NXT85c includes an integrated HVAC quality condensate pump with a 15’ pump lift. This makes installation a breeze and allows you to use the dehumidifier in spaces where a gravity drain is not an option. The compact NXT85c includes features such as temperature controlled defrost, auto restart, and a digital display. It also features side panels to make maintenance as easy as possible. Just like the other dehumidifiers in the NXT series, the 85c can be used with many optional upgrades such as an environmental monitor, wired remote control, or duct collar kits.